Save 40.0% on select products from vAv YAKEDA with promo code 40AND3IY, through 9/15 while supplies last. 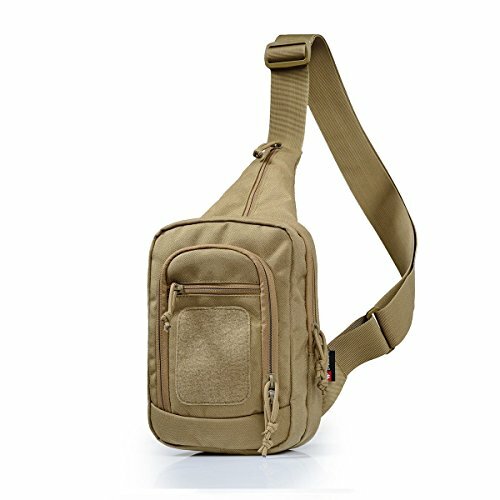 Sling pack size: 10 * 7 * 3.5 inch /25.4*17.8*8.9cm(H*W*D), Weight:0.84lb/0.38kg;enough for carrying small notepad, keys, wallet, cell phone, flashlight, gloves, chargers etc. on a daily basis. Five exterior zip pockets.The top pocket has a key ring. Present the YAKEDA logo label. An assault range holster-bag, for constant handgun carrying.Orbital strap design for fastest back to front transition. Brand:YAKEDA Model:KF-083 Designed with rush system which allows to remove the handguns quickly and carry them concealed. Section for documents equipped with fixing ribbon preventing accidental falling. Hit the range straight from the office with the multi-purpose EDC Commuter Sling. Efficient design is built into the features of this compact bag, allowing for full carry options or simple grab-and-go capabilities. Experience all the benefits of everyday carry with our line of bags and packs designed for the prepared professional.